Two Men Arrested For Smoking Heroin In A Chuck E. Cheese Bathroom. Now stories like this really make me question the sanity and common sense of people. I guess I do have to remind myself that most people that make these kinds of decisions are usually under the influence of drugs. 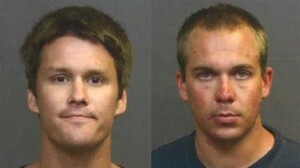 Anyways, earlier last week two men were arrested on suspicion of smoking heroin inside of a Chuck E. Cheese bathroom in Costa Mesa, California. Yeah that’s right… I said Chuck E. Cheese. Police had arrested Colin Zborowski, 28 and Daniel Lubach, 27, Tuesday night after another person, probably a parent, at Chuck E. Cheese called the police and reported that two men may be inside the restroom doing drugs. When the police arrived they in fact did find the two of them smoking away in one of the stalls. According to police Zborowski and Lubach had decided to meet with their heroin dealer at the Chuck E. Cheese and if that wasn’t stupid enough, they then decided they couldn’t wait till they left and just did it in the restroom. Zborowski was arrested on the suspicion of felony possession of a narcotic and two misdemeanors of drug paraphernalia, as well as being on a controlled substance. He was booked into OC jail and posted his bail late Thursday. Lubach was only arrested on suspicion of being under the influence of a controlled substance and was released with a notice to appear in court on a later date. 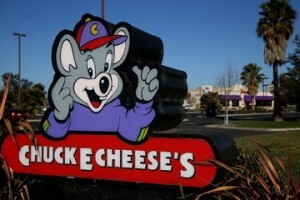 My question is, aren’t there people at the front of the Chuck E. Cheese to prevent things like this from happening. Don’t they usually give out stamps? Somebody was slacking on their job for sure.